Sophomore albums often encounter the challenge of living up to their predecessor, but in some cases they actually surpass the debut. 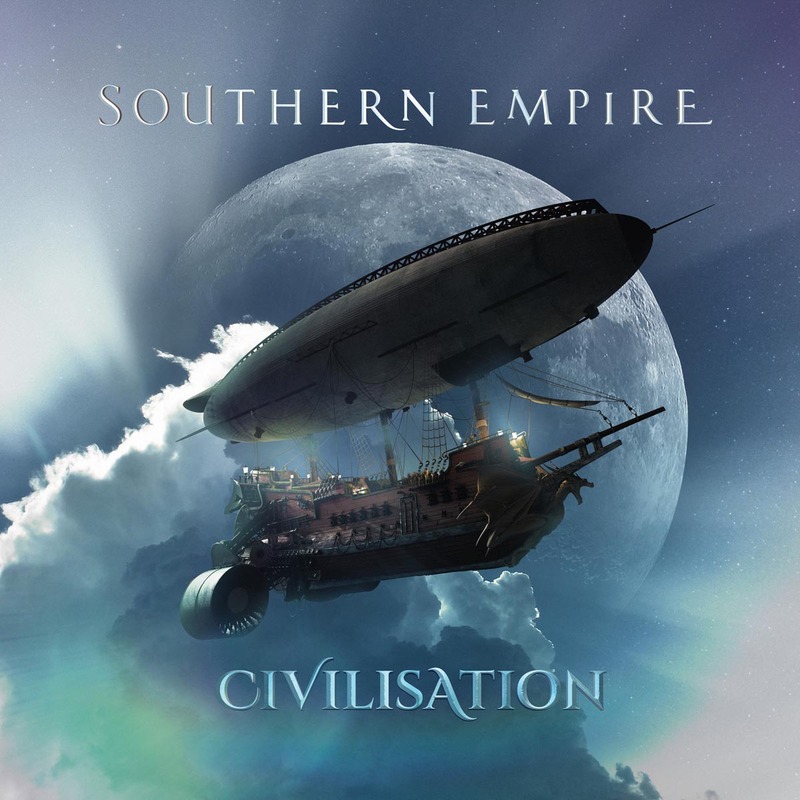 Such is the case with Civilisation, Southern Empire’s new album, and they only needed four songs to do it. Yep, four songs. No time for pop prog hits here, this band with a steampunk image has already fired the warning shots and is ready to deliver the epics. Sean Timms put Southern Empire together after the demise of his previous muse from down under, Unitopia, and he has chosen his players well. Exciting performances from the band, artful songwriting & arrangements and impeccable production make this one of the top releases of 2018. Let’s start at the beginning: “Goliath’s Moon” is a jet-fueled opener, beginning with an old-timey radio broadcast of “By the light of the silvery moon” before launching into the Empire’s groove. This has prog written all over it already. Penned by guitarist extraordinaire Cam Blokland and aforementioned grand wizard Sean Timms, this rocker is a choice way to begin our journey. Singer Danny Lopresto wastes no time in establishing his vocal prowess, bringing us along with him. Unfortunately, the celestial theme doesn’t really develop much of a plot through its lyrics and chooses to repeat the same verse twice, so we don’t get to journey with the storyline in the same way that the music transports us. However, a beautiful middle section features three-part support vocals from Cam and drummer Brody Green which shows that the band can deliver vocally as well as instrumentally. As the song progresses, Brody becomes more and more pronounced on the drum kit until the ending flurry of hits leaves the listener breathless. The shortest track on the album at a very rewarding and exhilarating nine minutes, “Goliath’s Moon” returns us to earth primed for much more to come. “Cries for the Lonely” is next on deck, and we are more than ready for this epic which serves up pure symphonic bliss. Sean Timms’ songwriting shines forth, along with solid input from Brody and again from Cam, and is superbly supported with instrumentation and arrangement ideas from the entire band and some very choice guests. It’s always a treat to hear prog so ably delivered in the vocal department, and in Southern Empire not only does lead singer Danny have the chops, but the backup vocals from the band are solid and powerful. Blistering lead guitar lines from Cam are traded with equally impressive violin soloing from Steve Unruh. Brody Green is particularly on fire on the drum kit, this time from the get-go. The tight runs with bassist Jez Martin are delightful. Sean’s playing on the keyboards and piano – as well as arrangement ideas with other instruments such as flute – cannot be understated in their importance to holding it all together with such grace and grandeur. After a fine guitar duo section from Cam and singer Danny, who also contributes his guitar playing throughout the album, the song finally fades out to an extended guitar solo where Cam proves (again) that he is a true guitar hero. Simply put, these nineteen minutes have just about everything that a fan of symphonic progressive rock could hope for. “The Crossroads”… Even given the indulgences of the progressive rock world, few “epics” dare to venture towards the half-hour mark. But this one does, and does it quite successfully. With the core band members firing on all cylinders, supplemented by guests on saxophone, flute and violin, “The Crossroads” is ready to travel the globe with exotic instrumentation and musical scales. Cam branches out with classical and flamenco runs. Flugelhorn, frame drums and hand percussion, jazzy saxophone interludes, gypsy music, middle eastern rhythms, it’s all here. We touch in on about a dozen different musical styles and movements. Unruh and Blokland trading violin and guitar solos as they are supported by the whole band is a wonder to behold. Jez and Brody hold everything down tightly as always, perfectly complimenting the dizzying melodies on top. Still…is it a bit much? Some of the sections last less than a minute and, while always intriguing, may not all truly be necessary to serve the song. Nevertheless, it’s an engaging journey around the world and the excellent arrangement and mixing skills help keep everything together; in lesser hands this could be a jumbled mess. Again, powerful choruses are featured throughout this epic, giving Lopresto plenty of room to shine, and culminating with one of the most triumphant finales one could hope for. A half hour later, we are left fulfilled and flying high. It should be mentioned that “The Crossroads” was initially slated for a Unitopia album that never saw the light of day, and was co-written by that band’s singer Mark Trueack (who recorded his own version a couple of years ago with his band UPF). 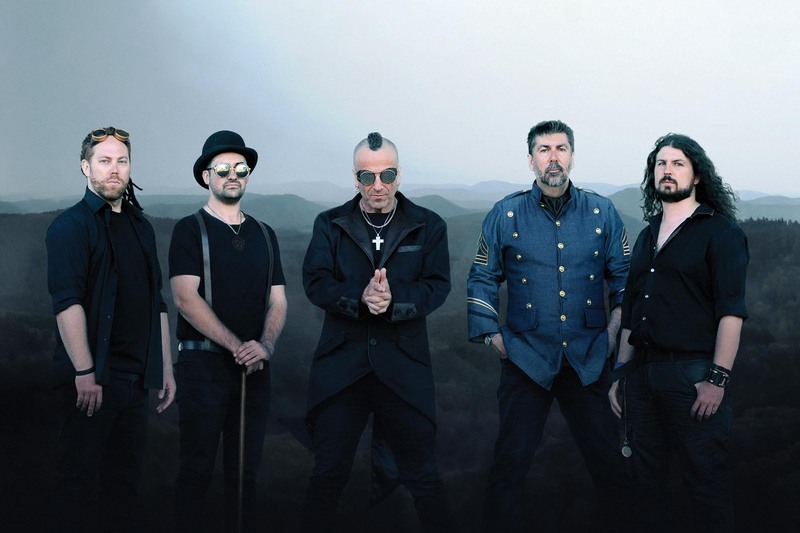 His presence remains on Southern Empire’s re-write of the song, though they have now extended the original epic by a good ten minutes with several new sections.